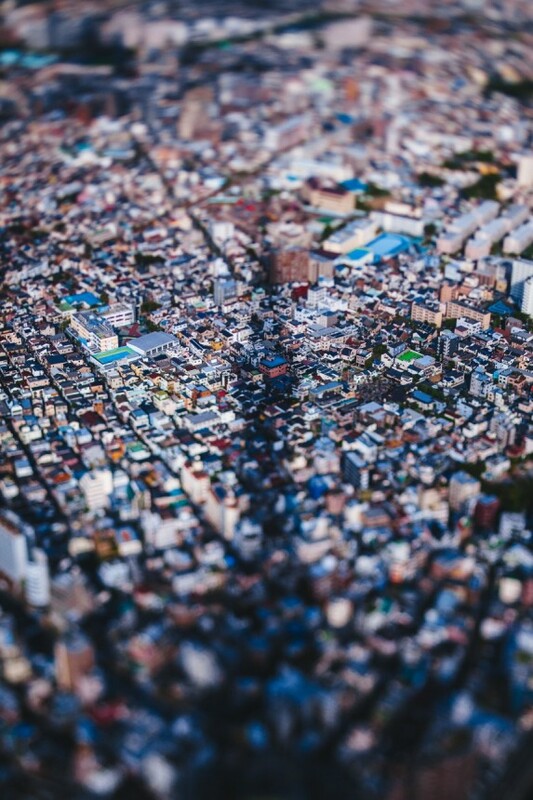 Tokyo is a city of pixels. Tiny fragments of isolated instance that, when pulled together, might be defined as ostentatiously ordinary. It is often considered a sprawling city with no cohesion — a concrete jungle — and it is not uncommon to hear dismissive remarks about the lack of an identifiable urban character. 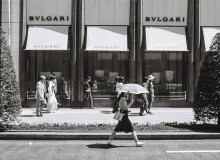 It is no lie that Tokyo’s built fabric is orchestrated by an indifferent globalised economy. 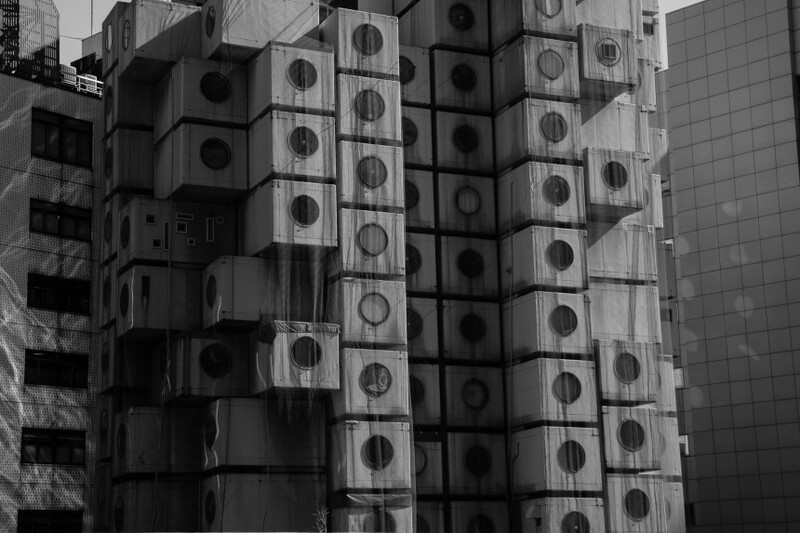 It is no lie that the scrap-and-build culture of Tokyo leaves the city in a tumultuous state. It is no lie that each cycle of demolition and reconstruction churns through time so that built history is quickly forgotten. But it would be a fallacy to suggest that this is ordinary. But how to read this city? How do we make sense of the relationship between the ever-changing built fabric around us and our transient urban lives? Tokyo gives us a kind of liberation, where we can forget about the Western notion of permanence, in the built form, and begin to look at the city with a cyclic understanding of time and ritual. In this sense we start to look at the rhythms of the city. It is possible to find our own rhythm, through synchronising and attuning our behaviours to the sounds of Tokyo. In a city where people don’t dance, the built fabric is full of rhythm. Rhythms are felt at festivals, where once a year mikoshi (small portable shrines) are carried through the town, tearing up the quiet, orderly atmosphere with a sharp cry from the past. Rhythms are felt on trains, looking out the window as the flat tempo of suburban sprawl is rudely interrupted by the high-frequency density of sullen bed towns. Rhythms are felt on a rooftop, looking out on the slow blinking red lights that punctuate the smoky sky, and down at the smooth motion of cars along the highway. Rhythms are felt cycling, where you can slow down to appreciate the subtle differences in locality, and travel a distance to find a lateral beat that traverses the cityscape. Rhythms are felt in the park, on a Sunday, where the same players with the same instruments return to find a place to play. Rhythms are felt in the seasons, where you recall the best spot to see the hydrangeas and the best spot to have a beer outside in the snow. Rhythms are felt in your local neighbourhood, watching the streetscape transform in the short two years you spent there on a contract. It is all architecture, and it’s all a part of the urban ecosystem that we occupy. But within this framework there are some architectures that strive to define new rhythm, some that help to create harmony, and others that exist only as a by-product; an ordinary note from an ordinary instrument. Within this ecosystem, it is particularly relevant to consider the role of the house within the city. It is by looking at houses that we can most easily see the relationship between the individual and the collective. Houses are incubators for architectural expression that can represent the social values and individual aspirations of any given period. In Tokyo, through the lack of any hierarchical vernacular, they are free in the absence of convention, and are therefore allowed to be critical. Tokyo is a sea of detached houses, in which social and economic conditions have created a culture of replacing the average family home, on average, every 28 years. As in any sea, there is a lot of biodiversity, but if we are to be brutally honest then we must admit that an extremely high percentage of these houses are ordinary. It is hard to find much positivity if the expression of our times is in the spirit-crushing shoe boxes that a lot of people are forced to live in. A rather prominent house-type is the pre-packaged detached two-story villa, that can be found in any suburban area and that only starts to be an expression of individuality with the selection of cladding, or the special add-on Corinthian portico value pack. However, just like a jam-packed commuter train full of well-dressed respectable working people, there are always going to be a couple of punks in each carriage who, irrespective of conventional norms, are doing something different because they have something to say. 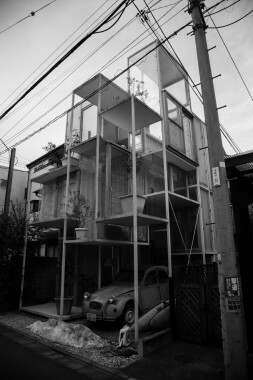 Just the same can be said for house design in Tokyo. Recently this relationship between the critical house and the city was highlighted at an exhibition titled “The Japanese House; Architecture and Life after 1945,” held at The National Museum of Modern Art in Tokyo last year. Throughout the exhibition, Yoshiharu Tsukamoto of Atelier Bow-Wow and the curator Kenjiro Hosaka helped to represent the significance that particular houses had on formulating a network of genealogies; a classification method that helps to tell the story of not only the architectural scene, but also the social values of the city in the past 70 years. Perhaps the most prominent avant-garde movement in this period was The Metabolists. 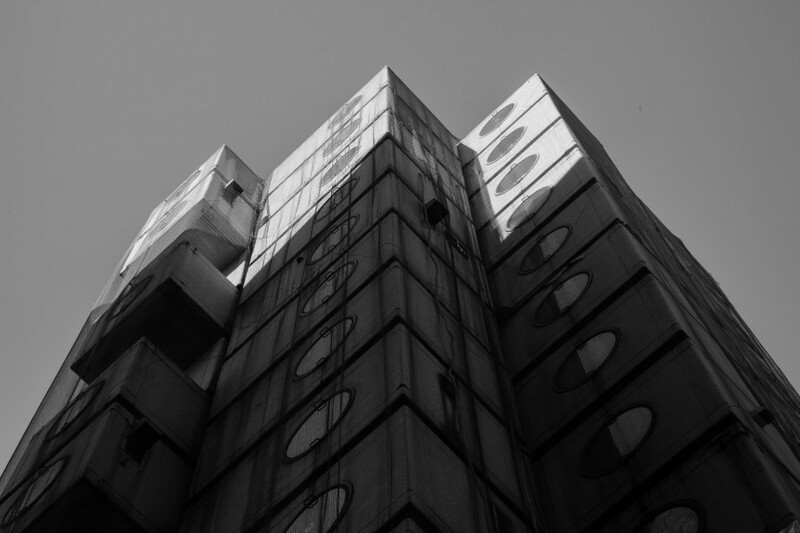 Their most exemplary structure, The Nakagin Capsule Tower, still stands in Tokyo today as a monument to a forgotten future. 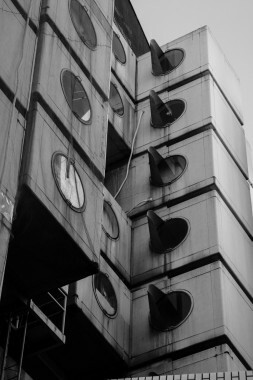 Designed by Kisho Kurokawa in 1972, it encapsulates the group’s firm belief in how industrial technology could still play a part in the provision of modern homes. This project is rooted in Kurokawa’s theory of Network Cities for the Age of Homo Movens. An urban infrastructure that could support the mobility of modern man. He is quoted as saying, “the capsule stands for the emancipation of a building in relation to the ground, and heralds a new era of moving architecture.” The building is representative of a modern rhythm, where man could glide effortlessly between his everyday capsule in the city, and his leisure capsule in the countryside. On a smaller scale, but no less significant, is the Sky House by Kiyonori Kikutake, completed in 1958. In this house, which was his family residence, he experimented with the ideas of artificial ground and changeability. The inherent flexibility in this design is aligned with both the science of biological metabolism, and the method of sliding screens in traditional Japanese architecture. For instance, the height to which the main dwelling is raised allows for a kind of basement metabolism, which started out as a kids’ play space, and has since seen several changes in configuration and program over time. The house was ingrained with a sense of timelessness, and the rhythm dictated by the spatial changes made by the owner himself. 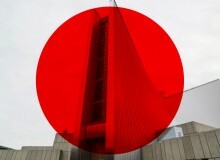 The next generation of prolific Japanese architects engaged in a more aggressive criticism of the city. These houses from the ‘70s and ‘80s, often made from exposed reinforced concrete, were self-sufficient spaces closed off from the dynamics of the city. 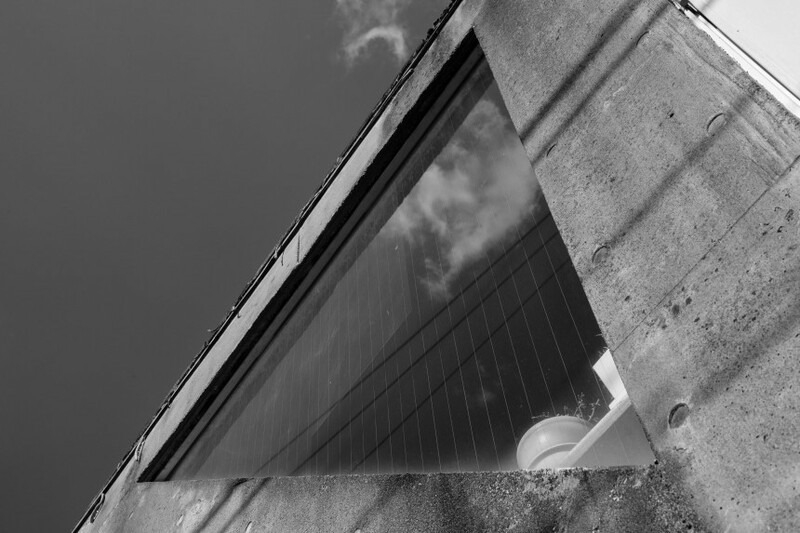 Tadao Ando referred to one of his houses of this period as a guerrilla hideout, a house that broke with the rhythms of the city to generate an internalized personal environment. One of the key drivers of this group of architects was Kazuo Shinohara, whose oeuvre can be seen as an evolution of critically re-reading the relationship between people and city. 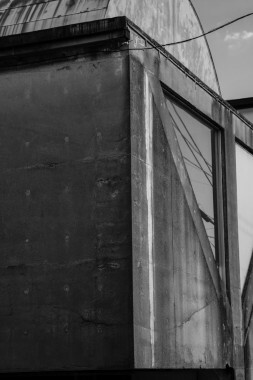 His Uehara House (1976) is a fine example of “The House as a Work of Art”, in which he creates a series of “non-open spaces” punctuated by austere diagonal concrete braces that represent the internalization of social space. The architect himself referred to the house as “anarchic,” therefore creating a more abrupt rhythm to the surrounding townscape. 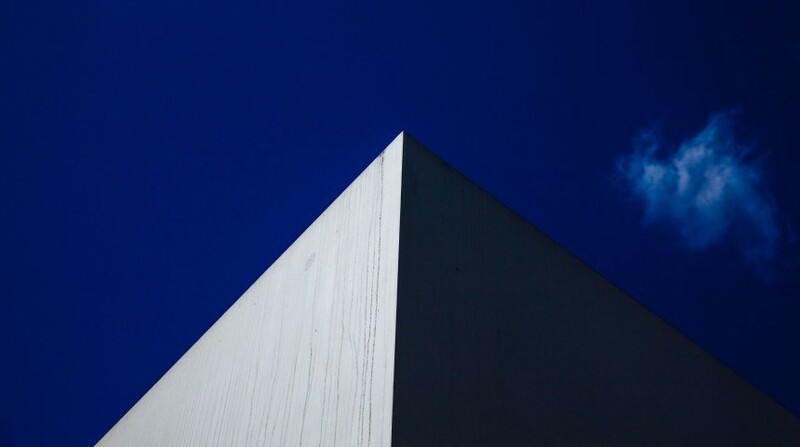 Another example of such defensive residential architecture is the White U, designed by Toyo Ito in 1976. In essence, the building is centered around a 3.6m-wide ringed lounge that creates a purely sensorial space for its inhabitants. 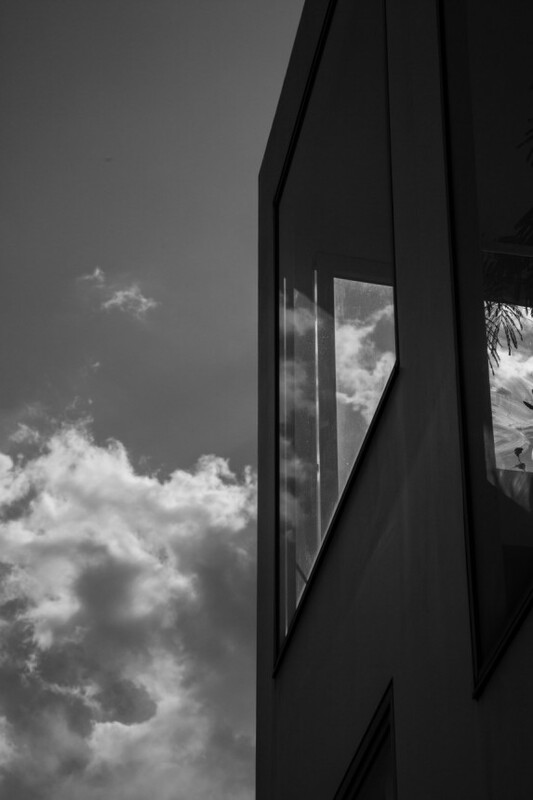 The building itself is a closed, reinforced concrete volume that internalises the outside space into the courtyard, to emphasise abstraction, and in turn, tries to break from the reality outside. 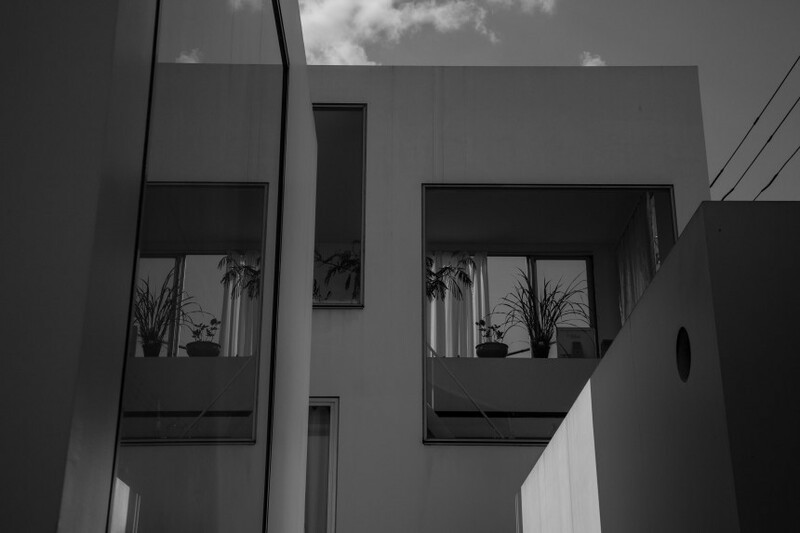 Both these buildings, then, can be seen as symptomatic of a defensive social attitude, an architecture that allows for personalised rhythms to occur freely inside the house. At the start of the 21st century we can see a move towards an architecture that is rooted in a desire for social change. House & Atelier Bow-Wow, designed in 2005 by Atelier Bow-Wow, is a building that comprises the architect’s office and private dwelling. This building is characterised by a new spatial composition that encourages mutual intervention between residence and office, and all spaces except for the private bedroom and bathroom are shared. 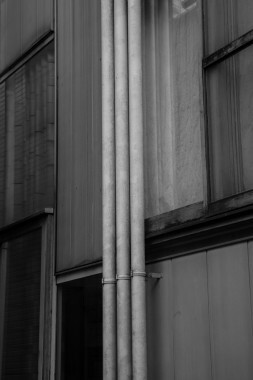 The building is a product of extensive research into the evolution of typology in Tokyo, and upon completion was seen as a direct example of establishing a new rhythm for urban dwelling. The positive architecture allows for a new network of relationships to be formulated within the unconventional structure, which appears like an old red dinosaur, poking its head out of the ordinary urban landscape that surrounds it. 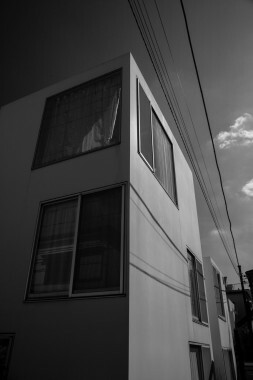 Moriyama House, designed by Ryue Nishizawa, also in 2005, is another example of residential architecture driven by the desire to create a new environmental unit within the urban ecosystem. The project is a series of small, minimal white volumes scattered across a typical Tokyo plot that allow for a number of residents to share the same land. When the client asked the architect to design him a house, he responded by saying, “You don’t need a house. You need a village, in the middle of a forest, in the center of Tokyo.” This framework for new social relations allows for each resident to express their own individuality on the outside, to open up to the community and synchronise their own living spaces to the rhythms of the gaps between the volumes, and to the surrounding streetscape. Both of these projects are representative of small-scale architecture that has brought gradual change to the way we perceive our relationship to the urban environment. Invariably, all of these types of architecture can be thought of as defining a relationship between inside and outside spaces, private and public space. In the past decade this dichotomy has been pushed to new levels with the appearance of the transparent house, the invisible architecture. House NA, designed by Sou Fujimoto in 2011 exemplifies this way of thinking in its outward appearance. The design of the building aims to translate the notion of gap space inside, so that the gaps between spaces are articulated, and a new spatial layering occurs with the intent of challenging typical domestic behaviours. In this house everything is glass and everything is exposed, and the possibility for new urban occupation is presented to the public, like an actor on the architect’s stage. Another more recent, and more modest, example of transparent residential design can be seen in the Tiny House, an unbuilt project by young architect Tetsuo Kondo, which further pushes this idea of transparency and of an architecture without barriers. His proposal was to create a small glass box offset from the property lines and surrounded by an abundance of greenery, in order to negate the threshold that usually exists between man and nature: to remove the barriers dictated by conventional building culture. The design is also socially driven, with the intent of creating a social space for the owner that will stimulate more interactions with local neighbours. Both these super-open houses are expressive of a new rhythm, one that aims to synchronise domestic behaviours with the surrounding environment, whether it be with the community, the built fabric or nature itself. In a city of temporal rhythms and immaterial worship, in a building culture of scrap and build, architecture is still there to engage with the realities of what it means to live in such a vast metropolis. 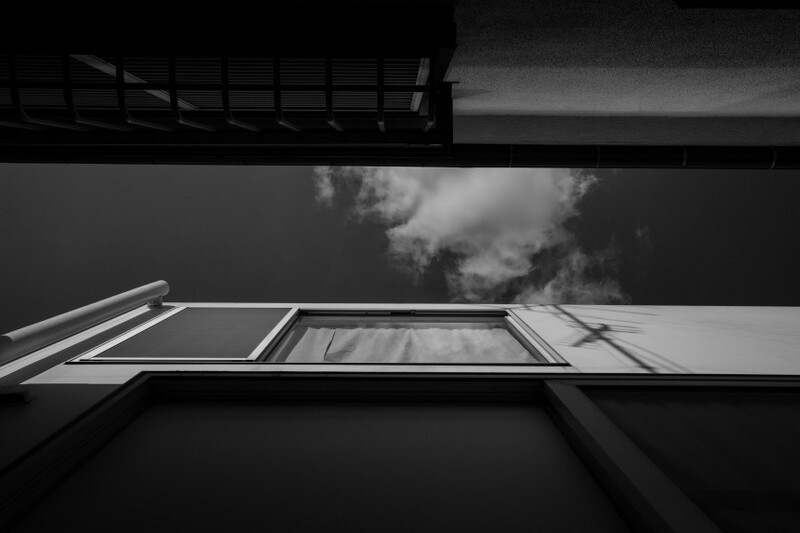 Residential architecture, in particular, has been utilized by architects in Tokyo to present a critique of contemporary culture, and by doing so, establish a new synchronicity between the house as a living environment and the greater urban ecosystem. The result is a fantastic sea of pixelated diversity, a quirky urban townscape that may appear to be dull, grey and monotonous, but is actually full of intrinsically quirky and sophisticated design elements that are not only representative of the contemporary condition, but also are really fun to look at. To read the pixelated picturesque is to appreciate our urban environments and to come to terms with the un-ordinariness of this great city. Patrick is an Australian living in Tokyo and working at Shibaura House. He likes to dig things first and then write about it. He used to dig Basho, and now he digs Aya Bambi. 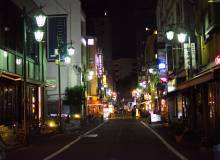 His background in architecture has led him to see the city of Tokyo with a critical eye in a beautiful, disoriented light.